EvictingCancer.com – Evicting Cancer was created to provide a supportive space for you and your loved ones as you traverse the challenging, unfamiliar and often overwhelming terrain created by a cancer diagnosis. This 30-minute recording gives you tips to start using today to powerfully shift the cancer odds in your favor. We promise not to share your information and we will not share it with any outside source. We will only speak to you and only you and do not worry, you can always leave. Often Frightening World Of CANCER? 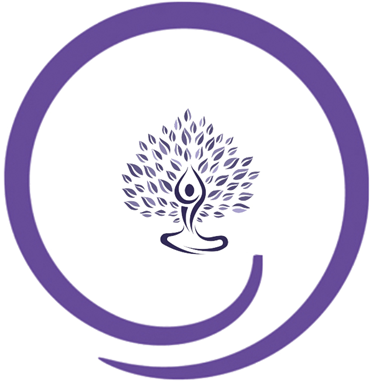 To turn your cancer challenge into a healing journey through compassionate, comprehensive care harnessing your innate, self-regenerating abilities to evict cancer from your body and life! Whether choosing Conventional, Integrative or totally Non-Toxic Treatment, long-term success requires a Whole-person, Whole-Life Approach. Evicting Cancer creates this approach, step by step, at the pace and to the depth you are willing to go. As someone who has battled both breast and uterine cancers in the past two years, I can speak to the wide array of emotions that course through one’s being as you go through the journey. I was fortunate enough to meet Susi in the very beginning of this long journey, and I am not sure that I would have come through as well as I have, without her. Susi allowed me to explore my fears, and empowered me with the realization that I was in control of my fight. She educated me as to what options were available to me, besides the conventional treatments my doctors were offering. Nutrition, stress reduction, daily priorities, forgiveness and inner peace, are only a short list of the tools I received. I am in remission. I am happy, and I am proud. And I have Susi to thank, for her patience, love and knowledge, which allowed me to survive, and heal. Thank you Susi, with all my heart. Susi Roos, RN, M.Div., is the founder of Evicting Cancer. She created her services and programs after watching hundreds of patients struggle through conventional cancer treatment without ever being taught their own role (and power) in helping their bodies recover from cancer and/or preventing it from coming back. She does far more than show people how to enhance the results of conventional treatment while decreasing side effects. 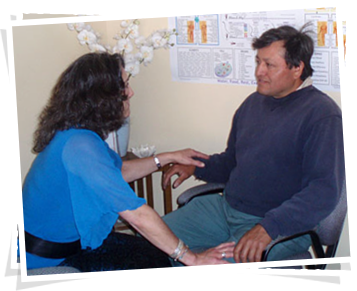 Susi takes people by the hand (and heart) and guides them to turn their cancer challenges into true healing journeys- whether they are choosing conventional, integrative or even totally non-toxic treatment. 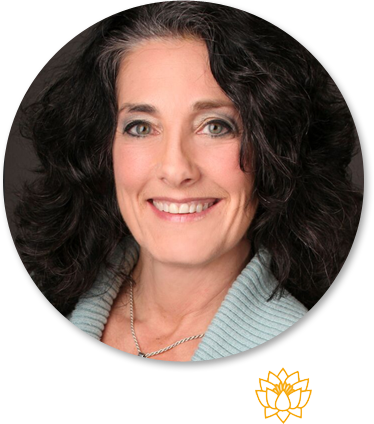 As a certified professional cancer coach, holistic nurse, functional diagnostic nutrition practitioner and a mind-body specialist who has worked in both conventional and holistic integrative cancer care, Susi is uniquely qualified to do this. A registered nurse for over 40 years, Susi acquired a strong respect for the effectiveness of acute care medicine but also discovered the limitations of the conventional model when it came to harnessing the innate healing abilities of the body, heart and mind and the rich offerings of Mother Nature. Her subsequent studies of more holistic healing models took her to many places around the world, including well-known integrative cancer clinics in Germany, Switzerland and Mexico and to studying with various naturopaths, herbalists, functional medicine providers and spiritual teachers. 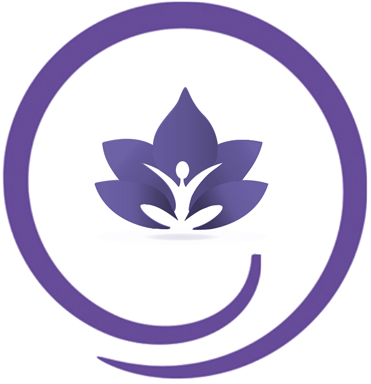 Over 10 years of experience in conventional and the integrative holistic cancer world makes Susi a powerful bridge between the two, helping patients make more informed, empowered decisions such as: What treatment will best serve me? How can I best maximize my treatment with a personalized whole-person approach? How do I best prioritize and institute the changes while minimizing the overwhelm? 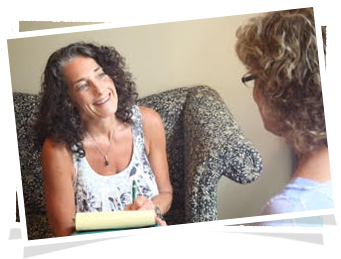 Instead of directing you to a specific treatment, Susi strategizes with you to discover and engage in a model of care that matches your values and beliefs about healing. She provides evidence-based information to help you make those empowered choices and helps you present this information to your oncologist and your loved ones to foster better understanding and alignment. 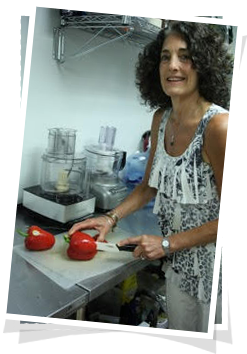 Having firsthand experience with both the strengths and liabilities of chemotherapy, radiation and cancer-related surgeries, Susi can bring to them the powerful role of nutrition, natural therapies, mind-body and energy medicine. She knows and can speak the language of oncologists, surgeons, infusion nurses and lab results, making it easier for patients to integrate them as well. As a functional diagnostic nutrition practitioner, raw food educator, holistic cancer and life coach, Susi is also fluent with the powerful healing abilities of food and supplements, detoxification, lifestyle changes, stress and emotional trauma management, and energy medicine all of which are essential to not only evict cancer from the body but to greatly shift the odds of keeping it gone. For those choosing only non-toxic cancer treatment, Susi can provide protocols to enhance those medically supervised therapies and maintain their effectiveness when those treatments are completed. 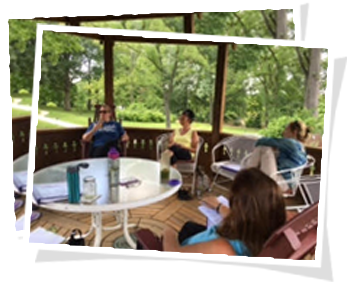 A weeklong immersion retreat specifically designed for the recovery, detoxifying and rebooting of your body and life after chemotherapy and/or radiation. Done with Chemo and Radiation? Congratulations! Now what? Hopefully your treatment worked and you are feeling considerably better since you are no longer receiving regular doses of the unavoidable toxins associated with treatment. But the truth is in order for you and your immune system to truly recover from chemo and radiation, your body needs help. Whether it has been weeks, months or even years, your body is still storing a certain amount of chemotherapy and the results of radiation as well as the toxic residue of living and now dead cancer cells. ReVitalize U™ was created to help you regain your energy, clear thinking, strong digestive and immune functioning and so much more, which collectively and powerfully support more joyous and cancer-free living. Do you keep hearing about how physical, emotional and even spiritual detoxification and nourishment are essential for more authentic and healthy living, weight management, cancer prevention/recovery and a slower aging process? Wondering how you can learn to effectively institute some of these changes in the midst of a busy life – without having to commit to an unrealistic overhaul? If so, Raw Radiance was created for you. 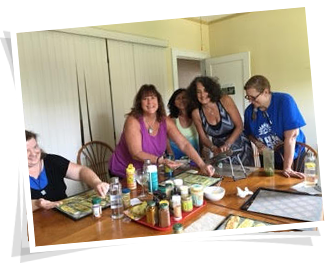 With hands-on learning in a small and supportive group, you will discover how to upgrade your dietary and self-care practices while engaging in exercises and rituals that detoxify and nourish body and Spirit. You will leave with a customized plan, along with the necessary tools and support to successfully implement it. All this takes place during an amazing weeklong retreat in a lovely setting with delicious food, supportive staff and like-hearted people. In dealing with cancer, I was overwhelmed by the diagnosis and the conventional treatment I was receiving. At the same time I was underwhelmed and disappointed by the supposed integrative whole person approach I was expecting to receive from the oncology center I chose. Thank God for Susi. 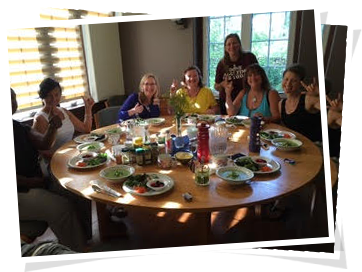 She filled in the gap, showing me how to initiate essential self-care and dietary measures that enhanced my treatment while minimizing side effects, Susi also provided a level of empowerment and peace I so desperately needed. I was able to make far more informed choices, explore the spiritual aspect of the journey and to find the gifts in the terrifying things happening in my body and life. Susi is definitely one of three people I dubbed my cancer dream team. I will be grateful to her for the rest of my life. My family, who witnessed the power of her support and guidance, are also so appreciative. Thank you from the bottom of this ever-opening heart. Learn how to incorporate the dietary, lifestyle, mind-body and natural interventions that strengthen and aid the body’s innate cancer-fighting abilities; supporting healing, peace of mind and the ability to become and remain cancer-free. In one-on-one coaching, I guide you on initiating the changes that can make all the difference on your cancer journey and outcome. You will understand why I suggest them and together we create a weekly action plan to support successful implementation to the degree and at the rate that you choose for yourself. In addition to supporting the body’s natural cancer fighting/healing abilities, we also address the fears, disappointments, life interruptions, concerns about caregivers that are typically part of this journey. Because I have a foot in both the integrative and conventional cancer care worlds, I often serve as a bridge between them, empowering you to make the most informed and congruent choices. I can facilitate some challenging conversations with your oncologist, your loved ones and other members of your treatment team. And when active treatment is over, I make sure you know how to continue your healing journey. Working with Susi is the reason that I am alive. Not living, but truly alive. Through cancer, loss of employment, loss of my beloved husband, I am more alive now than ever. Her tools speak to the mind, body, spirit and emotion. 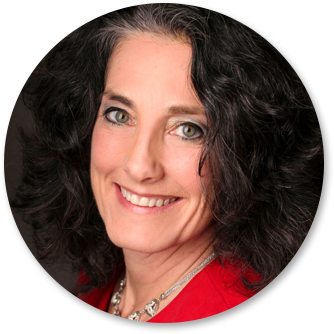 She excels in working with medicine, intuitive, alternative, cutting edge solutions and you. She is flexible to each need and the results come fast, as fast as I allowed. Cancer was a life challenge; with Susi’s help we’ve found the blessings. 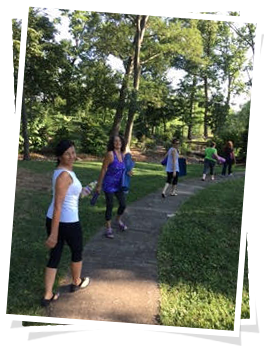 I am healthier, fifty pounds lighter, have a vision for the next 3-5 years and am… integrating mind, body, spirit and emotion in love each day. I look forward to the beautiful unfoldment that is my life. In fighting for my life, Susi was in the ring every day. I believe that I am done with cancer forever, but not with Susi. I say this with Infinite Love and Gratitude to you Susi. Thank-You! Are feeling stressed about your cancer diagnosis and confused or overwhelmed about what you can do to enhance your treatment and shift the cancer odds in your favor? Feeling a little isolated because those around you don’t understand the power of foods, lifestyle and even your own thoughts in healing from cancer? Confused by the overwhelming amount of cancer information found on the internet? 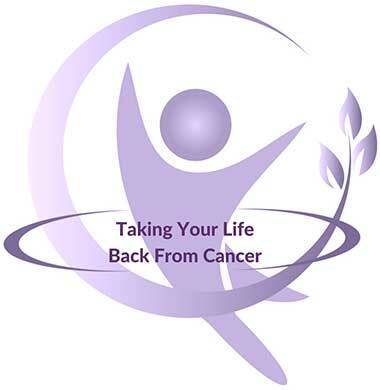 If so, then my 4-week live virtual class, Taking Your life Back from Cancer is a perfect match; providing evidence-based teaching by someone trained in both conventional and integrative treatment options along with the opportunity to share with others dealing with the same challenges. – And you do this from the comfort and ease of your own home. conventional, integrative or totally non-toxic cancer treatment. A new class runs each month. This downloadable digital program is for you if you are looking for a cost-effective way to GET STARTED on enhancing your cancer treatment results but are not sure yet how proactive you want to be in your own care. This three-hour program introduces you to a comprehensive whole person approach to greatly increasing your odds of becoming cancer-free. It provides a lifestyle assessment and outlines a clear plan needed to evict cancer. It offers steps you can use right away to begin the process. 10 Essential Tips to Give Cancer an Eviction Notice Now! 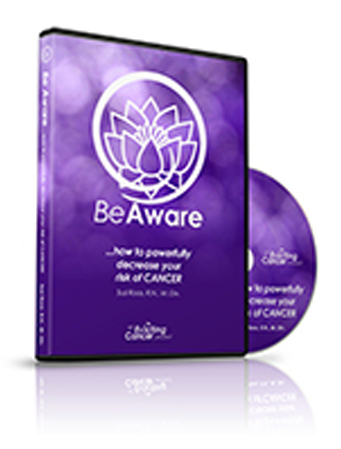 This 30-minute recording gives you tips to start using today to powerfully shift the cancer in your favor.